Life is peachy keen with this colorful, vibrant treat! 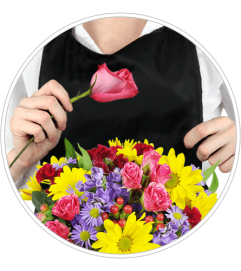 It’s a perfect way to celebrate any special day! 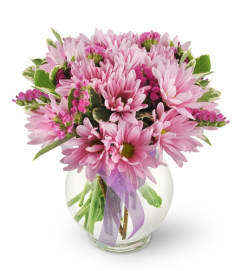 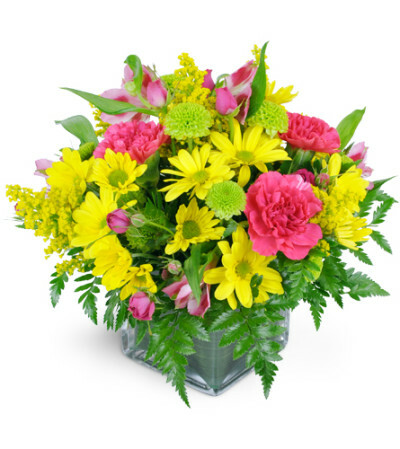 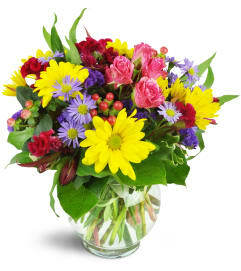 Daisies, spray roses, carnations, and more in a mix of bright yellows and pinks are a sure pick-me-up at any time!